pre master out, stereo widening ... 2x60 W / 4 ohms, 2x8" twin-cone speaker. 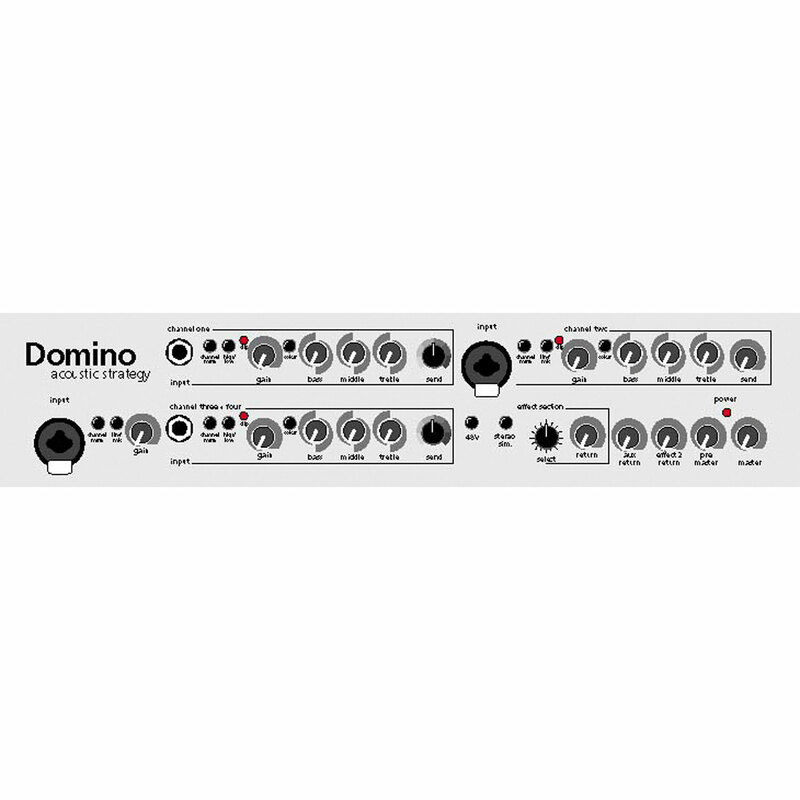 Domino - acoustic strategy is the answer to the demands to think bigger, produce more power, more volume, more channels...Easier said than done. How do we maintain the sound quality with its clarity and presence which is characteristic for AER? We jibbed at the thought knowing that an instrument does not sound the same when it is reproduced by a different speaker/amplifier system.Finding an acoustic system, tuning it to match all registers does not happen accidentally! 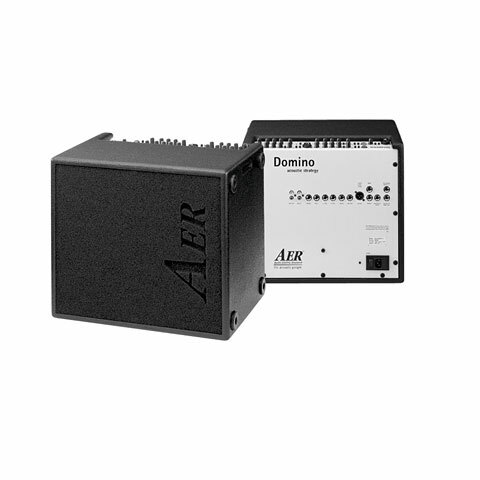 (But than,) some solutions are found easier than expected - why not double?Thus the Domino consists of two Compacts, two 8"-twin-cone speaker-systems, two times 60 watts, four channels, 16 digital effects, plus introducing the possibility to link via insert, mute channels and connect a full range-system for PA via pre-master-outs. AER becomes a complete system that couples stage and environment.The idea is a success. AER won the MIPA Award 2001 for the best acoustic guitar amp. · Show all articles of the brand AER.